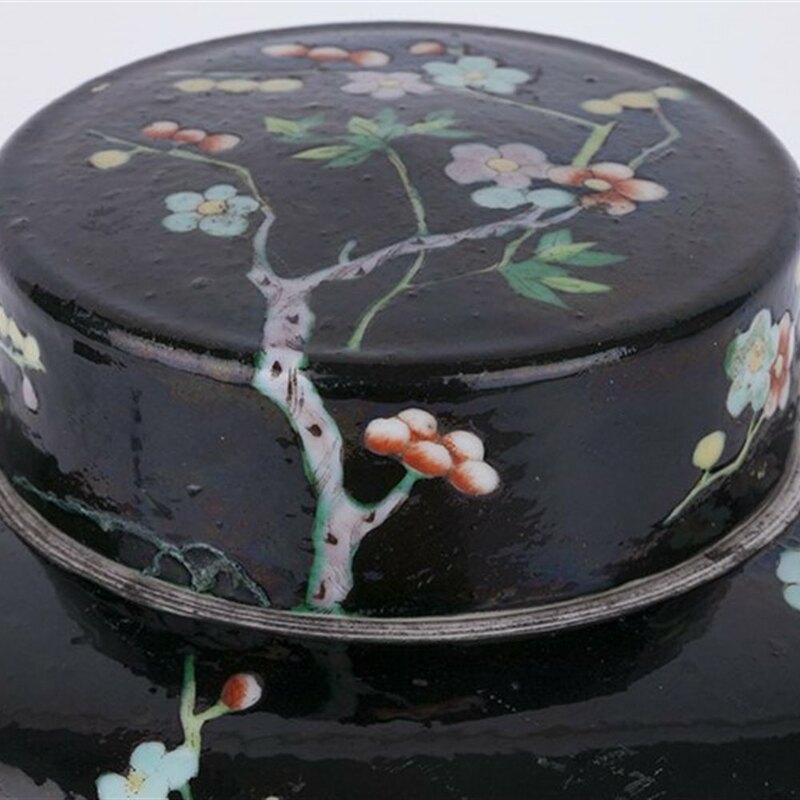 We offer this stunning antique Chinese famille noir lidded jar painted in coloured enamels with flowering prunus with six character Kangxi mark to the base but believed 19th century. The rounded porcelain jar stands on a narrow rounded unglazed foot with a unglazed raised top rim and is finely painted with a flowering prunus tree and other flowering shrubs in coloured enamels and set within a black ground. 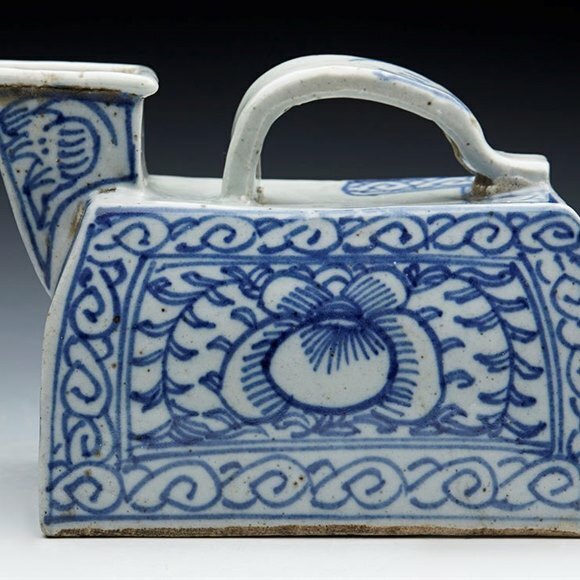 Similar designs are painted to the cover and the jar has a six character Kangxi mark within a double circle mark to the base.